I’m happy that my daughter goes to a school where cursive is still taught, but if you homeschool or don’t have it taught at the school your kids go to, you might be the one who needs to teach them. And while putting pumpkins and other fall pictures on your handwriting practice pages doesn’t actually make them easier, it does make them a little more fun. 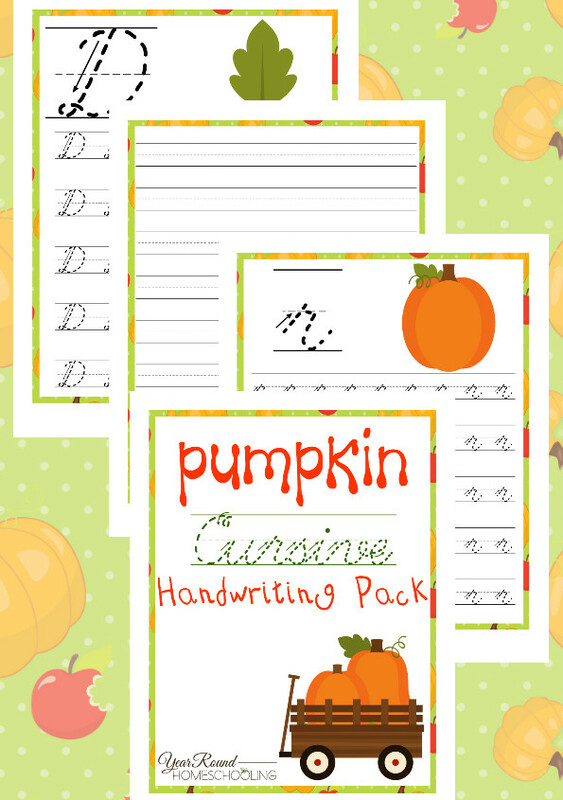 To get these pumpkin cursive practice pages from Year Round Homeschooling, you’ll need to subscribe to her newsletter. There’s a signup box at the bottom of her post.